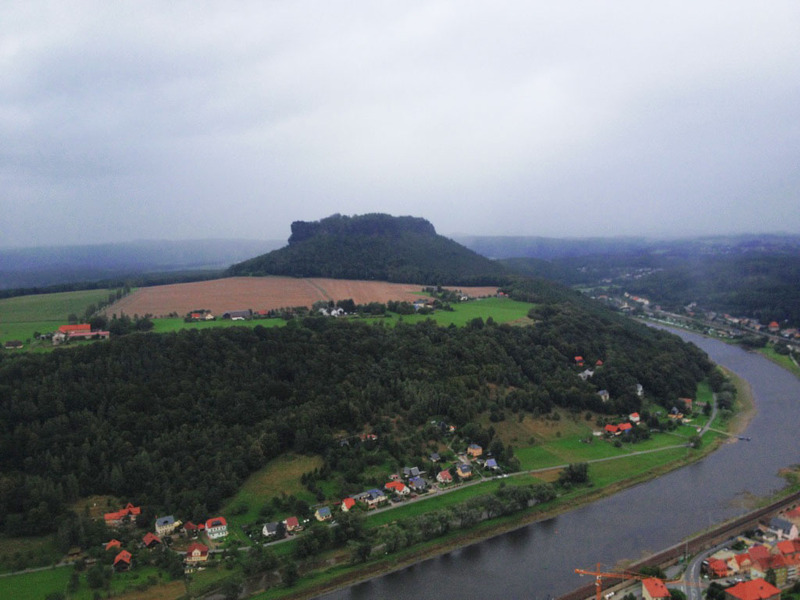 Have You Heard Of Saxon Switzerland? 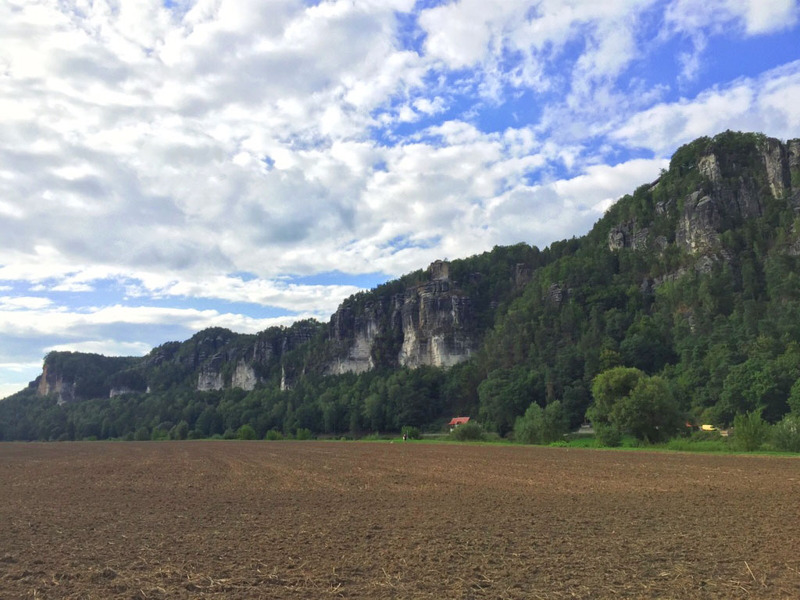 If you haven’t, let me fix this unfortunate injustice and tell you more about Saxon Switzerland — a place that, as a matter of fact, isn’t actually in Switzerland. 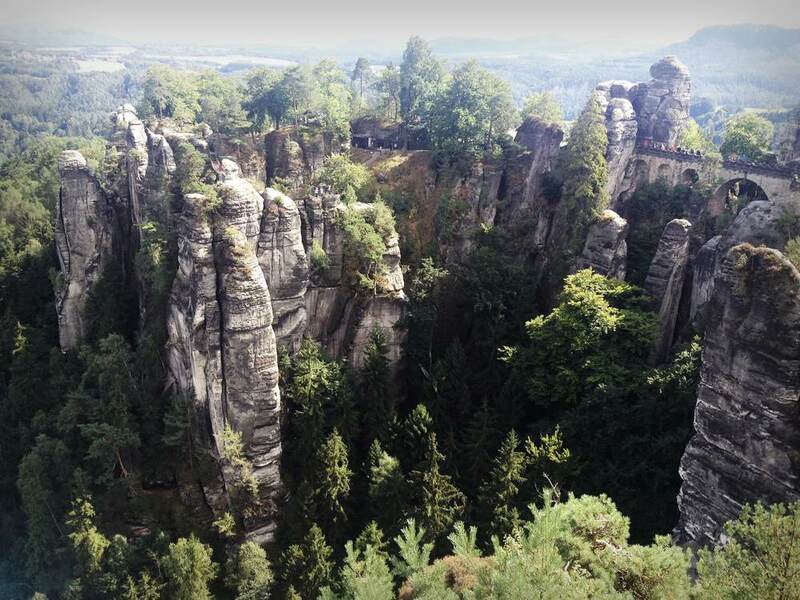 Located in Germany, on the border with the Czech Republic, Saxon Switzerland is one of Europe’s most beautiful national parks, according to The Guardian. 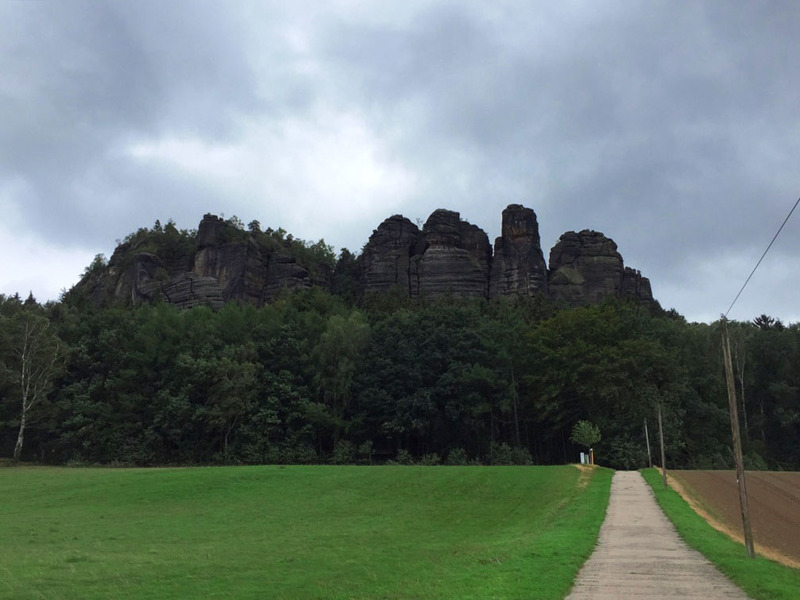 And indeed, the unusual landscapes of Sächsische Schweiz, as known in German, are so dramatically monumental that it’s hard to remain indifferent. Weirdly enough, while I was living in Saxony for almost two years, I never visited that area. So when I expatriated to Ecuador I thought I would never get a second chance to explore it. 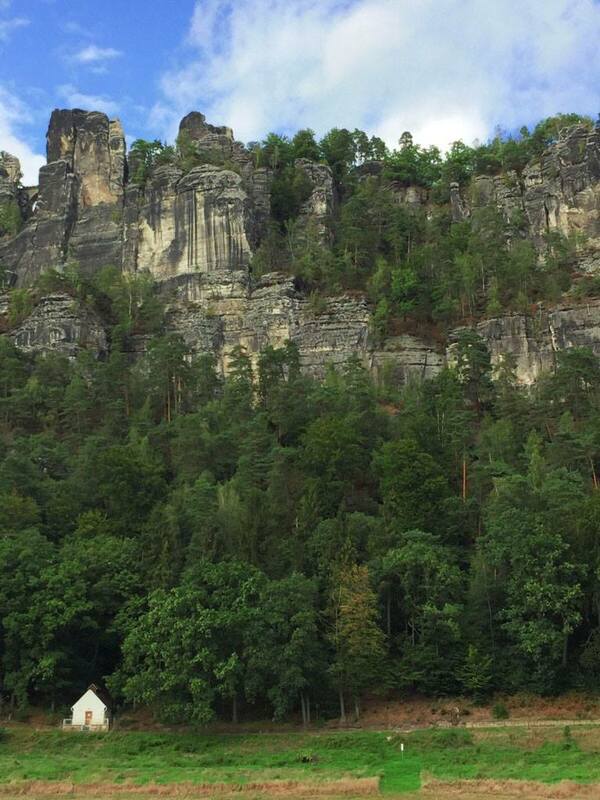 But thankfully, the odds were in my favour so after I eventually settled down in Berlin, I knew it was high time I saw Saxon Switzerland. The easiest way to go there is first to arrive to Dresden — check out MeinFernbus for cheap bus connections. 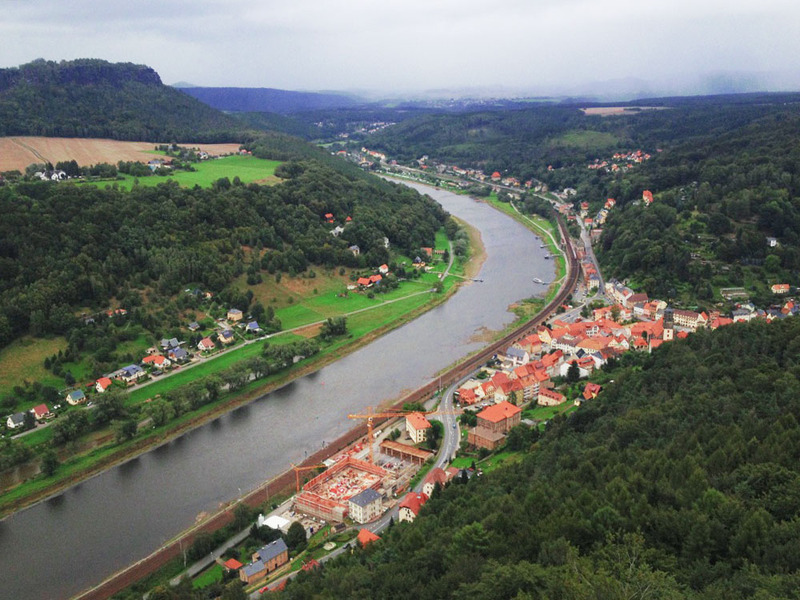 When you’re in Dresden (I highly recommend to spend at least day there, by the way), take a regional train (S-Bahn) to either Pirna, Stadt Wehlen, Kurort Rathen, Königstein or Bad Schandau — you can start hiking from any of these. 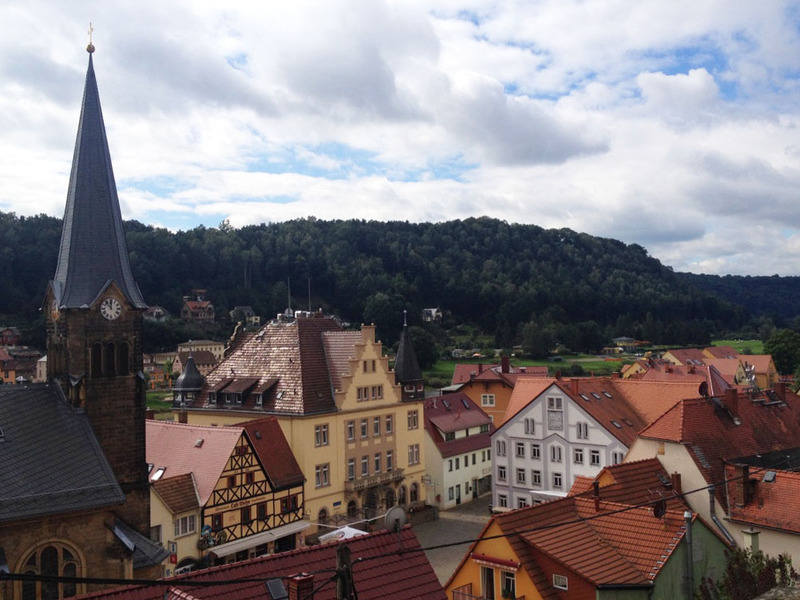 I chose to make a stop at Wehlen, which is a small candy-looking town on the banks of the Elbe river with a super cute market square. 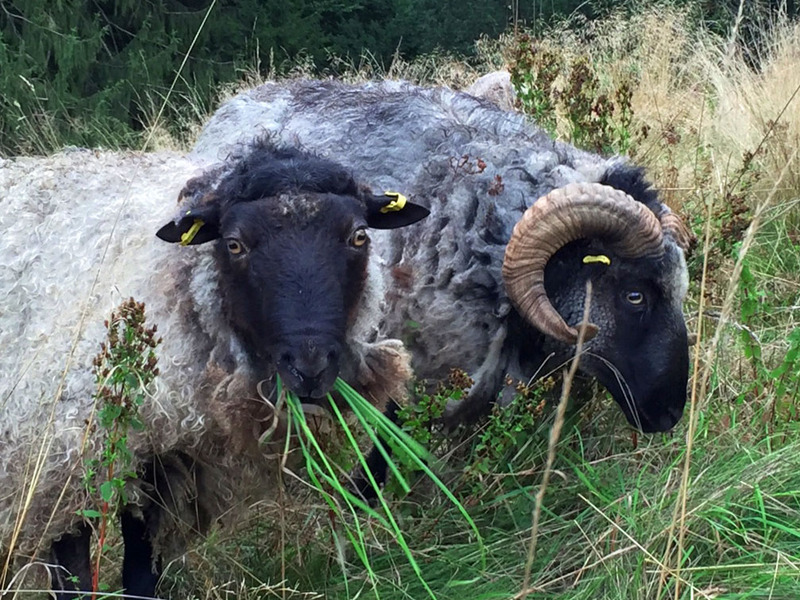 From there, I drafted an itinerary through the Malerweg trail — a well-known route that is famed for providing inspiration to even better-known artists, painters and musicians. 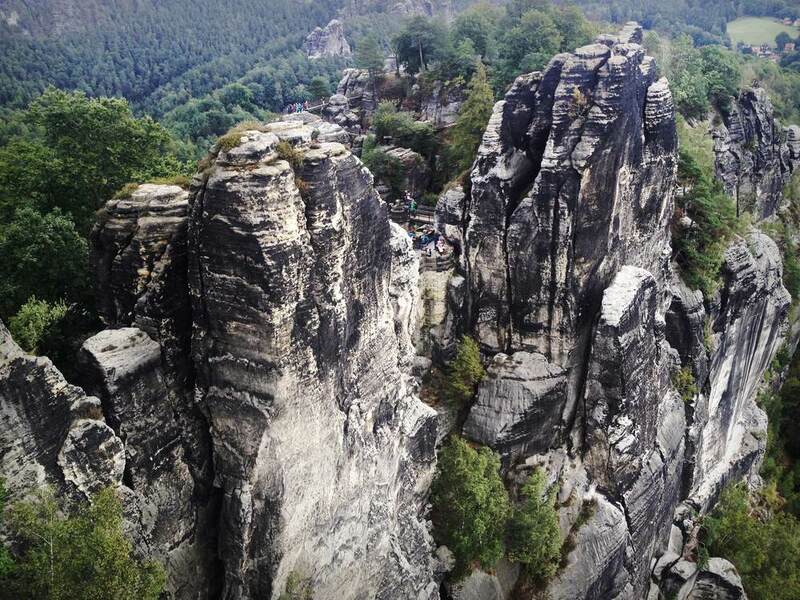 They say that Anton Graff and Adrian Zingg were the first ones to “discover” Saxon Switzerland in the 19th century and soon after, half of the European artistic avant grade followed their steps, including the one and only Richard Wagner. 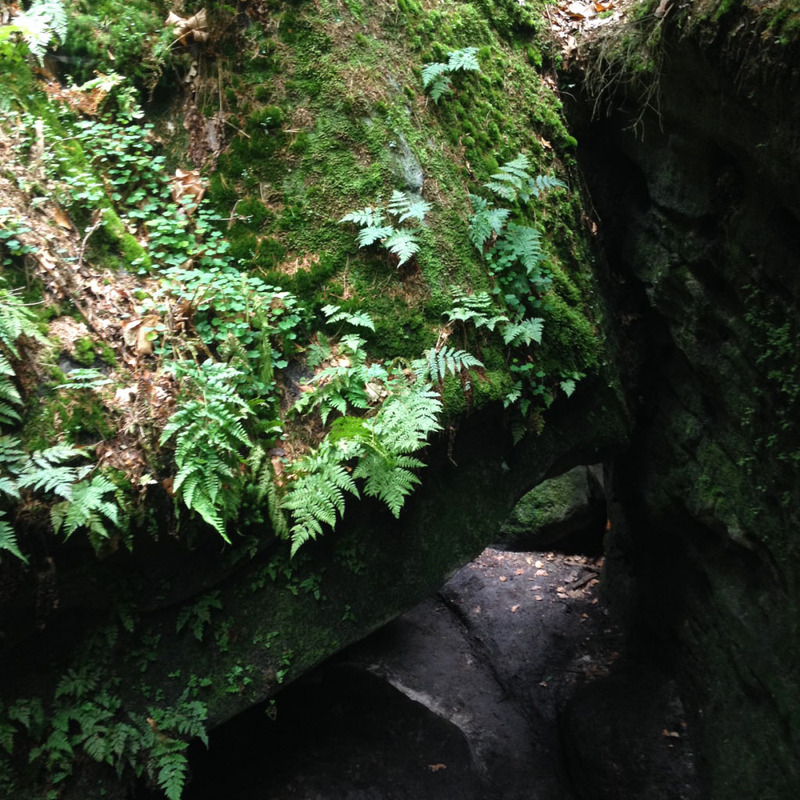 …which are huge labyrinth-like rock formations that I literally had to squeeze myself through. This wasn’t an easy job, let me be honest. It was drizzling that day, too, so everything was moist and slippery — and given the fact that I’m the clumsiest person I know, you can imagine that classy and elegant scene. All that drama, however, didn’t stop me from going on. 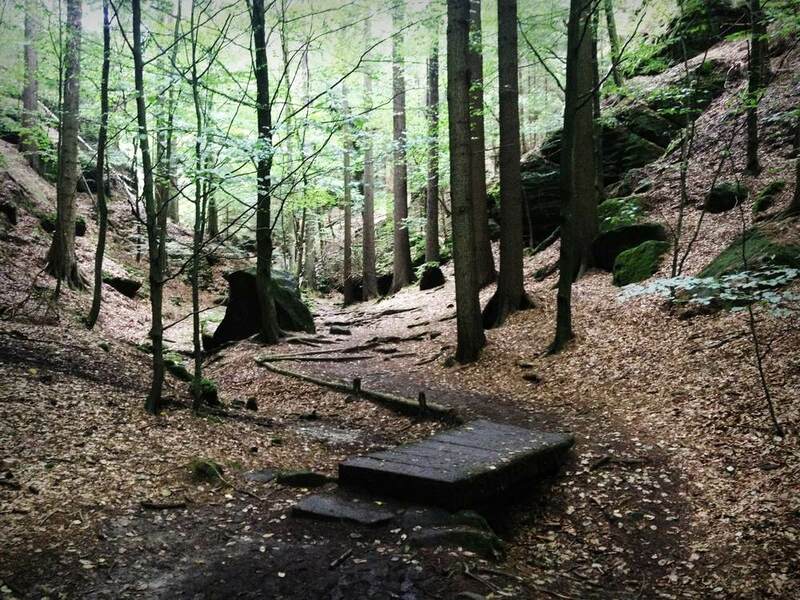 I continued walking through a forest with a soft brown carpet of leaves. 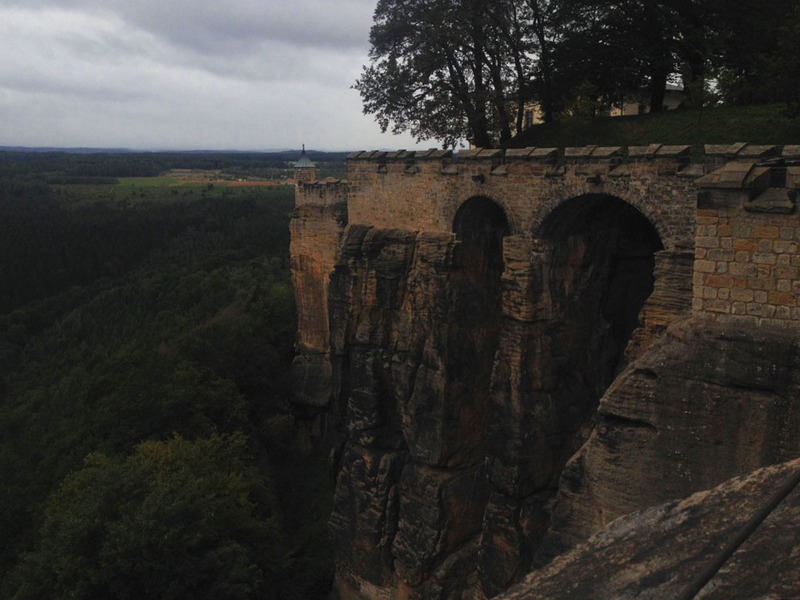 And then after an hour of wandering, I finally ended up where I wanted to be — at the Bastei Bridge. 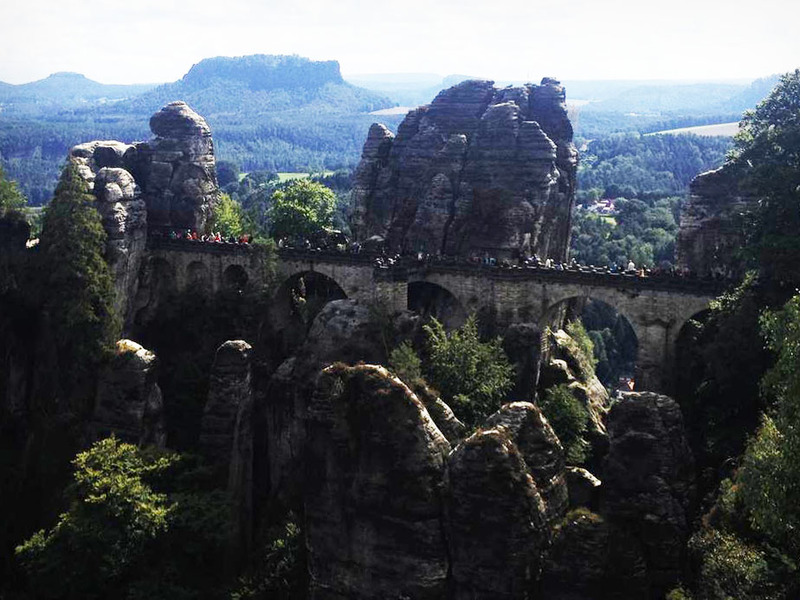 You definitely must have seen it somewhere on Pinterest before — amidst the huge sandstone rocks, there stands this monumental bridge, the artful piece of architecture! 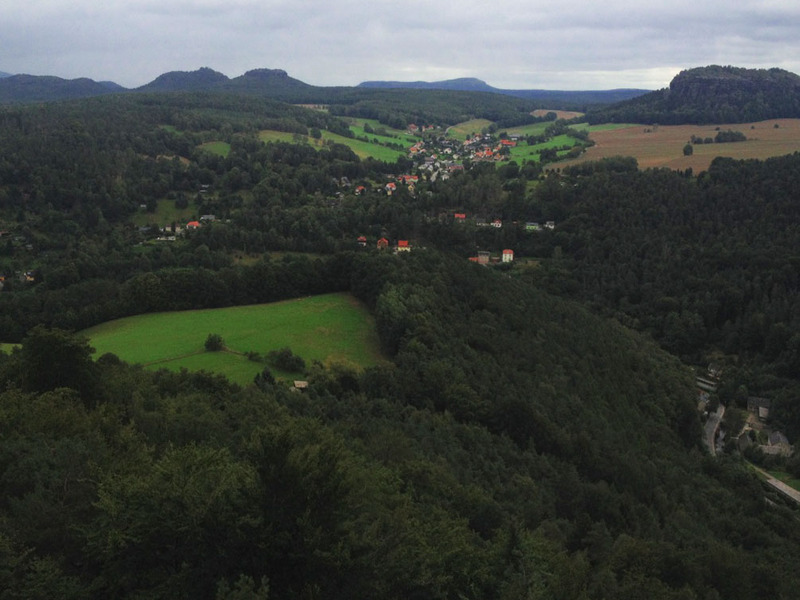 The view over the Bastei Bridge was simply beautiful — I wish I had something better than my iPhone camera to capture it. 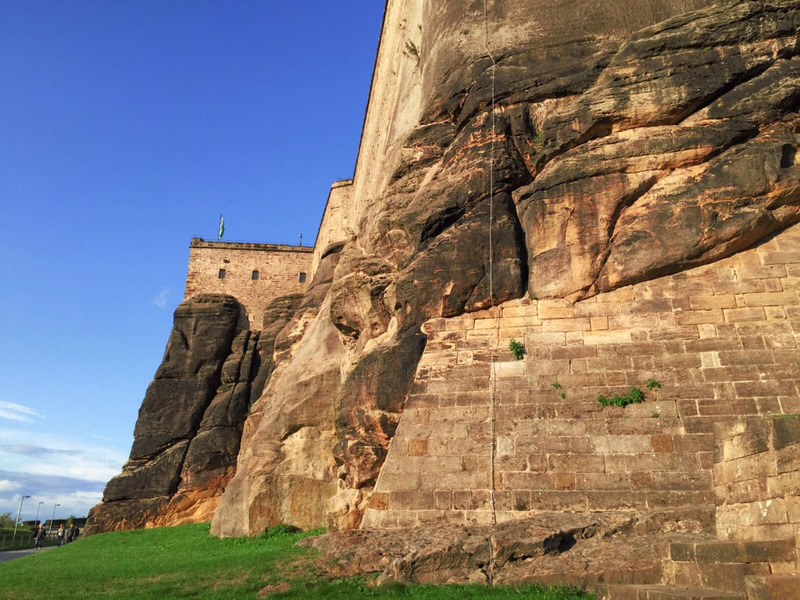 I have never seen anything like it before, to be honest — these were just enormous pieces of rock that don’t hardly resemble traditional-looking like mountains, really. 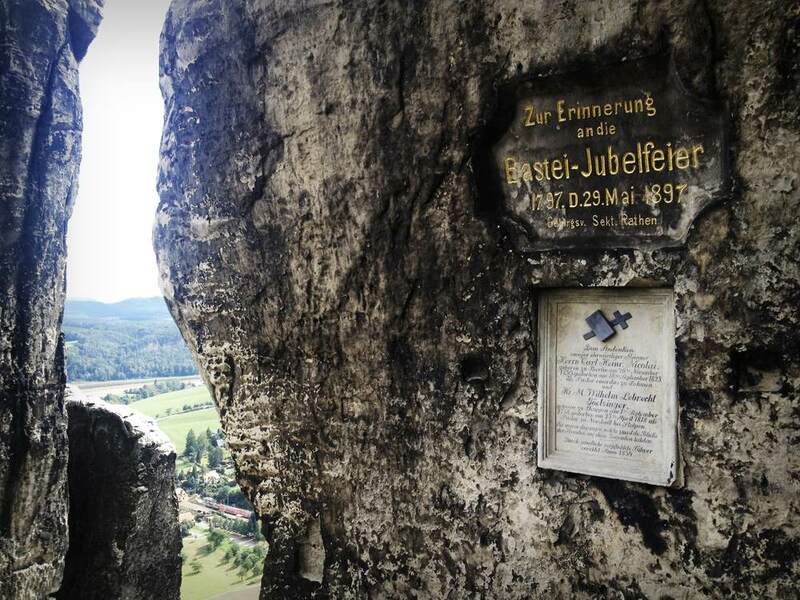 If you cross the bridge, you will actually see a memorial plaque to Carl Heinrich Nikolai — a person who I never knew existed and yet whom we all apparently owe the discovery of Saxon Switzerland. 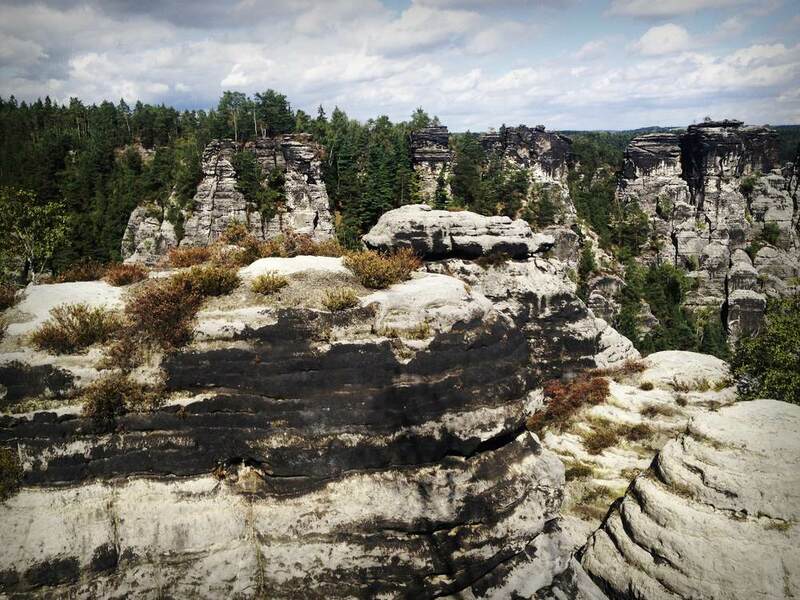 The national park has around 1000 summits for rock climbers and hundreds of kilometres of market hiking trails. 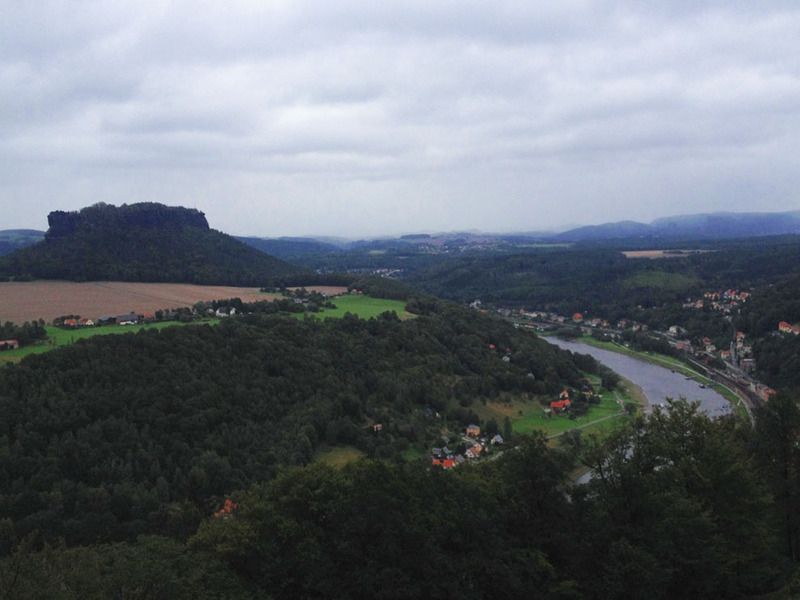 Over the weekend, I covered around 40 km — not too bad for somebody who doesn’t know what the word “gym” means — ending up at the Königstein Fortress. 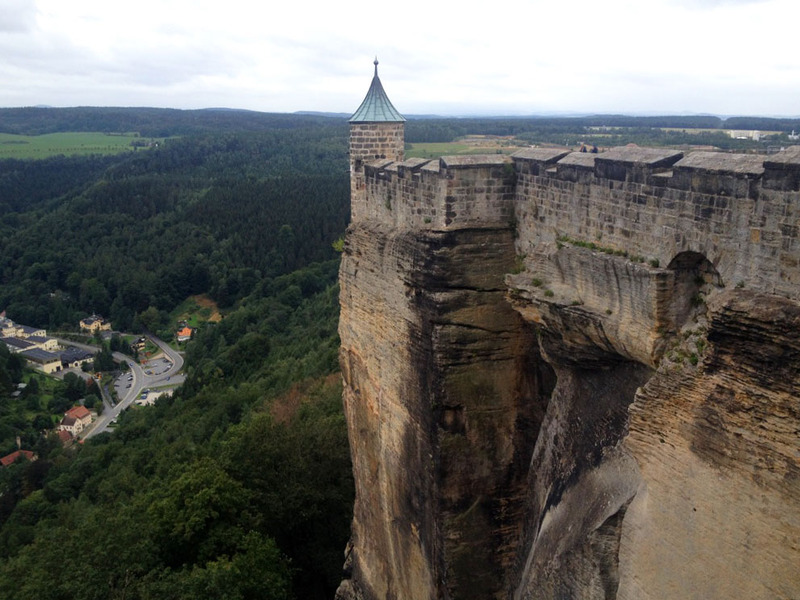 Also known as the “Saxon Bastille”, this is the largest fortress in Germany (and one of the largest in Europe) that attracts around 700,000 visitors every year. It’s cool to just walk around the fortress that actually feels like a town within a town. There are around 50 buildings, few museums, a hotel and a restaurant, where I ate the most delicious pie ever that helped me to regain my strength after an exhausting hike up the hill. Again, the view from to fortress was just amazing! 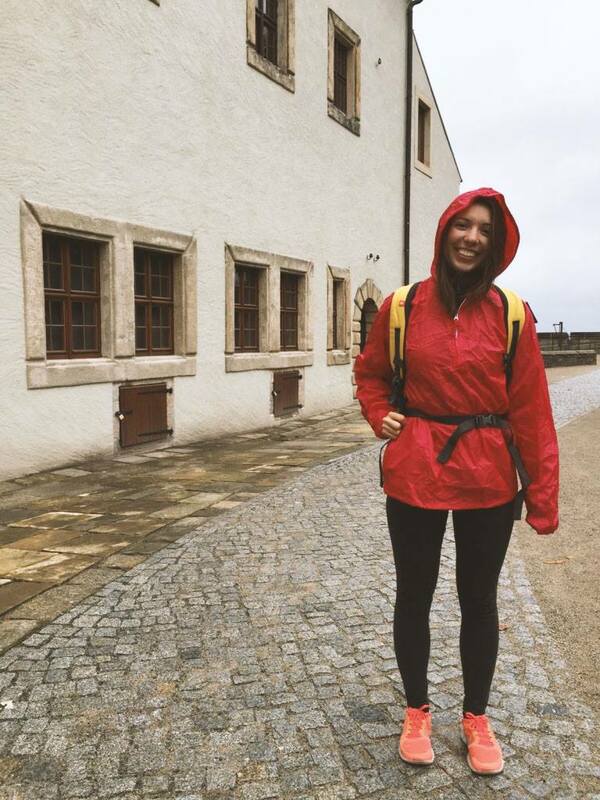 It was super windy that day, and later on it even started raining, but I didn’t care. 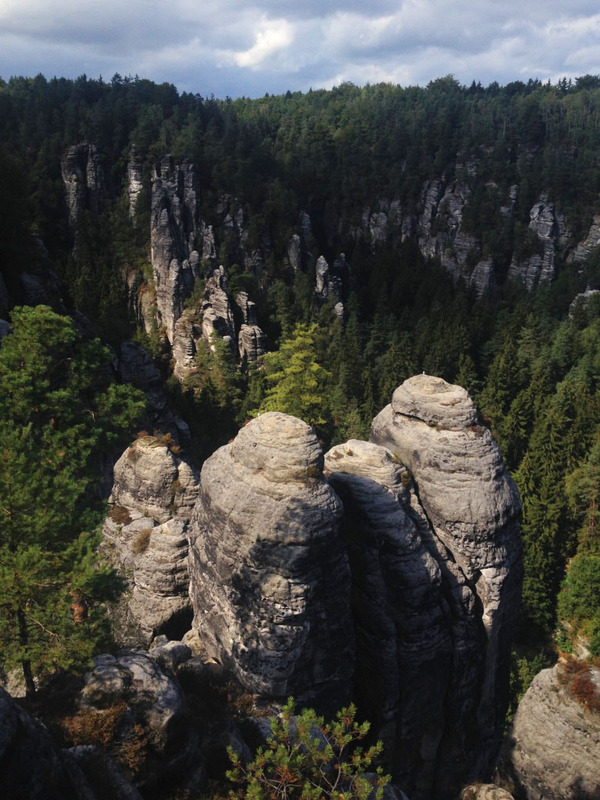 So, have you heard about Saxon Switzerland before? Awesome. Looks like a cute little European town. 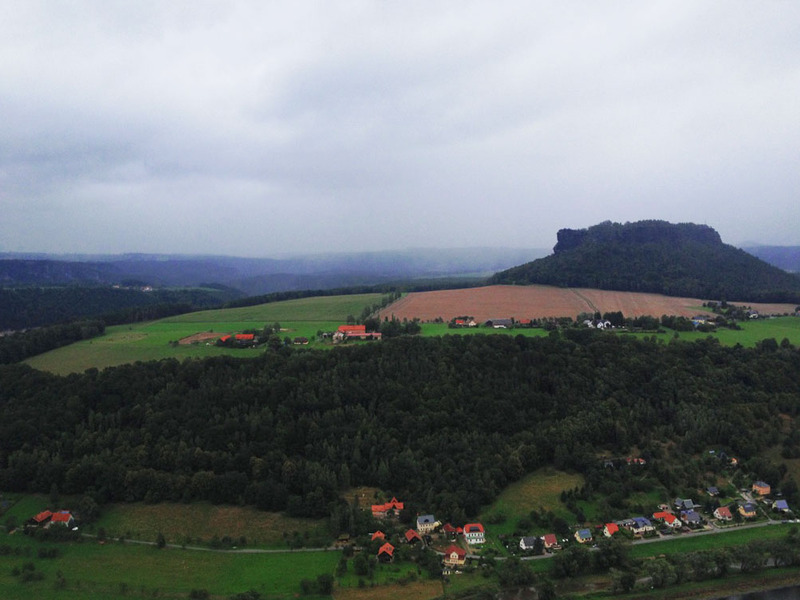 And Saxon Switzerland is huuuuuge, I only saw a small part of it! Have to come back there one day! 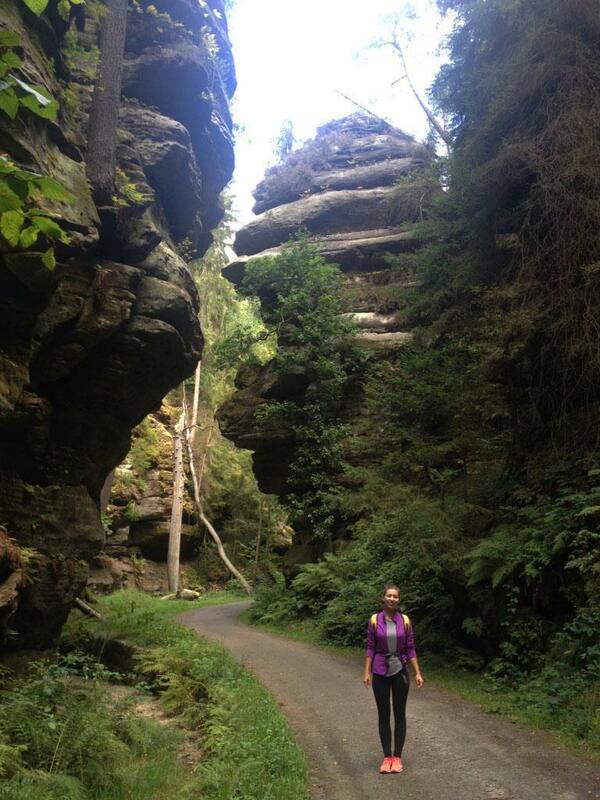 We’ve got something similar in south-western Poland – it’s called “Misguided Rocks” (“Błędne Skały”). I just googled it – looks super awesome! 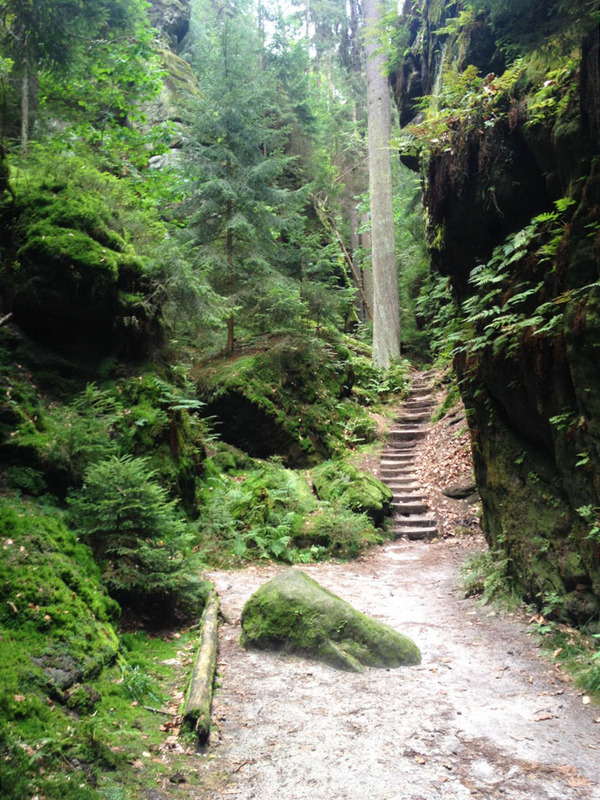 Poland is so underestimated, actually, the country has so many beautiful nature spots but nobody really knows about that! It’s a shame. 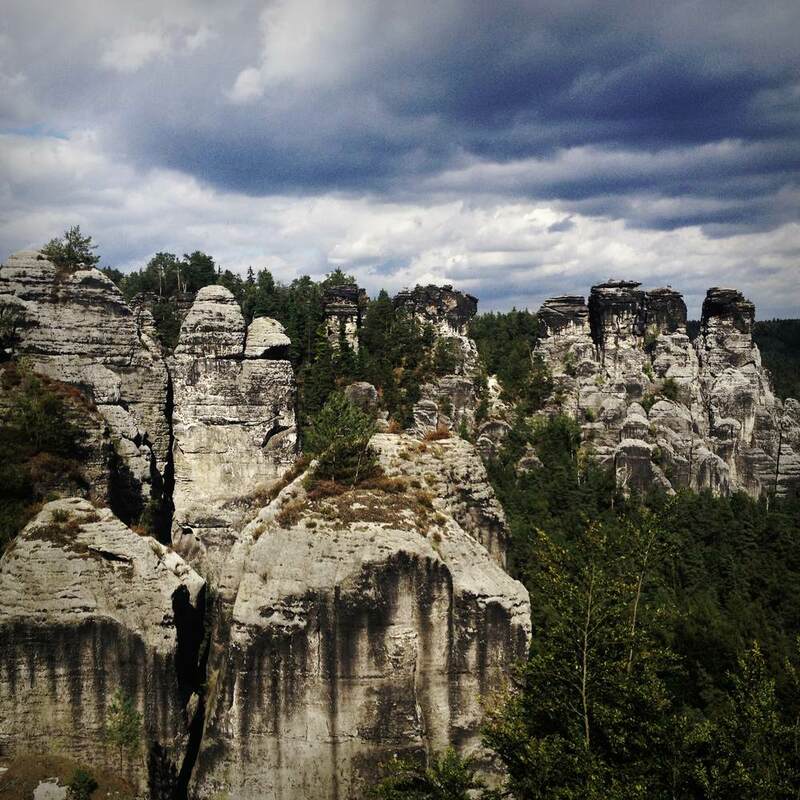 I totally agree with you that in Poland there’s so many amazing places hardly known outside the country. Let’s hope it’ll change soon! 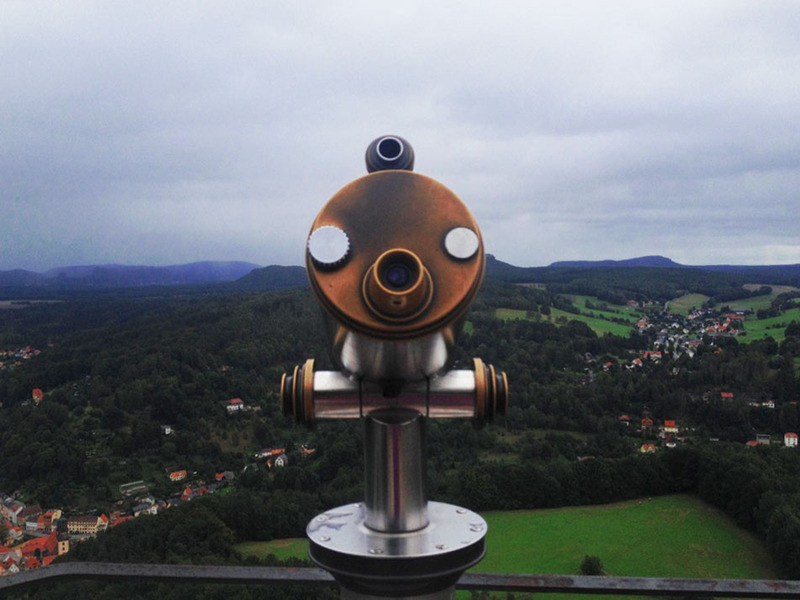 I’m sure travel bloggers will work on spreading the word :) When I go to Poland next time (I’m planning a trip to Zakopane in spring), I’ll make sure to do that! Looks beautiful! Think we will go there soon as well, I heard there is also a way to go from the Czech side? Thanks for the inspiration! Yes! 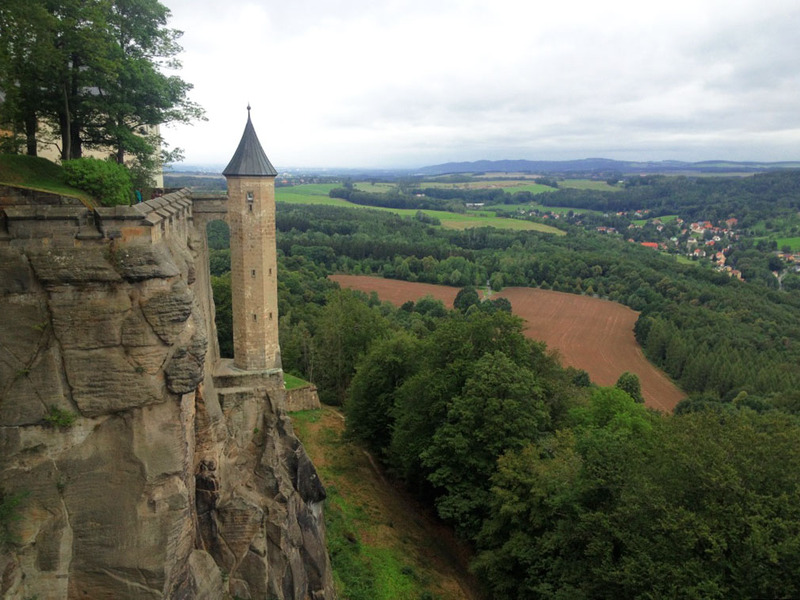 The area is “shared” by Germany and Chezh Republic, where it’s called “Bohemian Switzerland” instead of “Saxon Switzerland”. 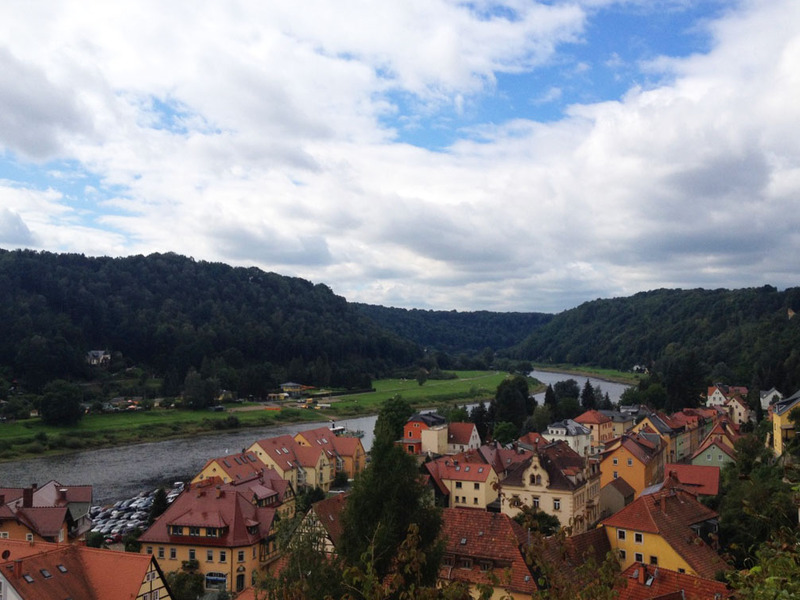 From the German side you’d usually approach the park via Dresden, but from the Czech side it’s the town of Hřensko – i think there’s gotta be buses there from Prague!